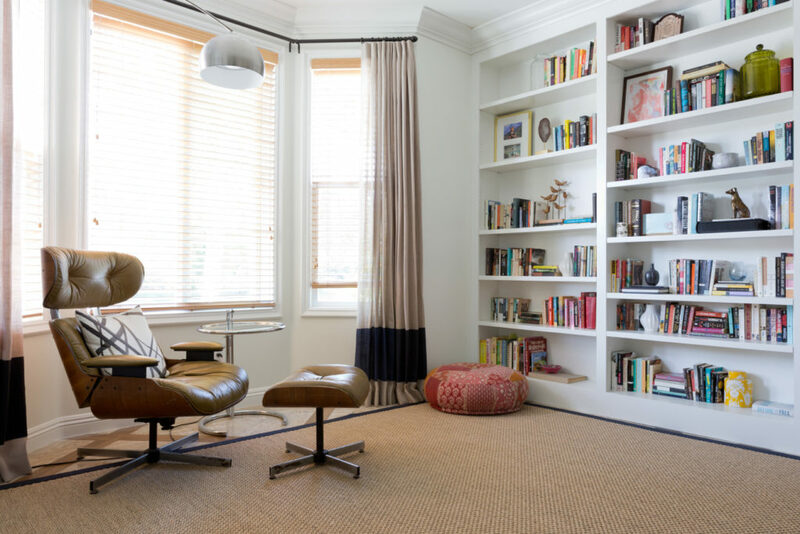 While you might think creating an eclectic look in a home would be easy given the freedom to mix design elements, but without a keen eye and thoughtful editing, a space can easily become cluttered and disorganized. 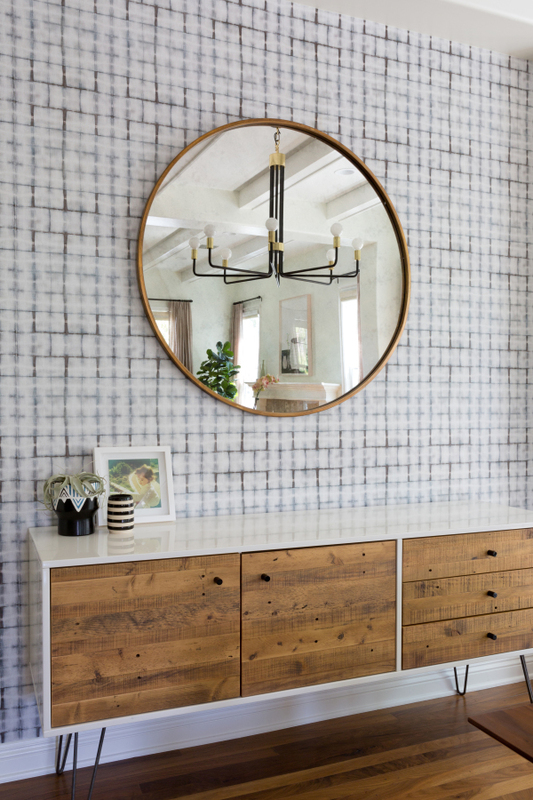 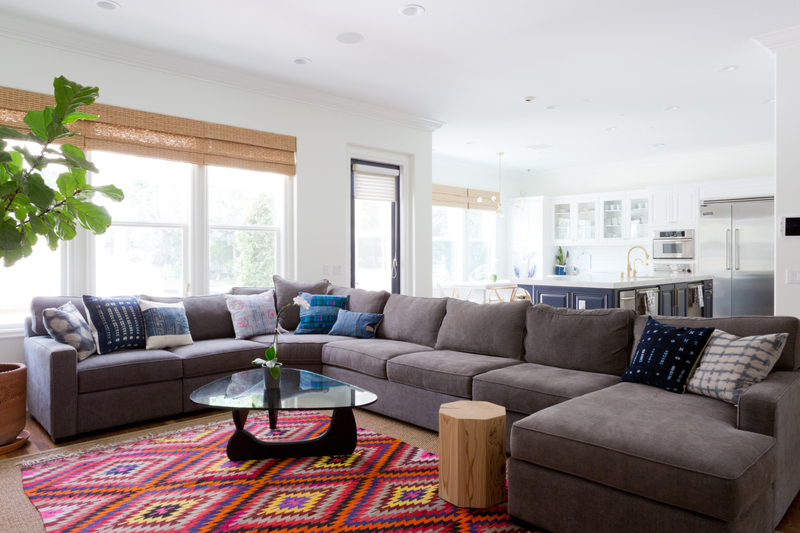 Natalie Myers of Veer Designs however created an incredible modern bohemian space in the home of one half of the duo behind LA Party Stylist and it’s this week’s addition to the Inspired Interiors series. 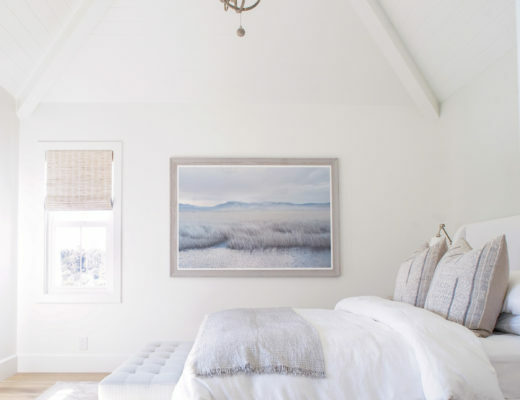 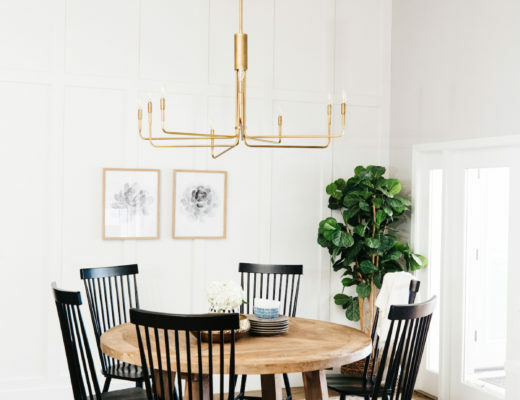 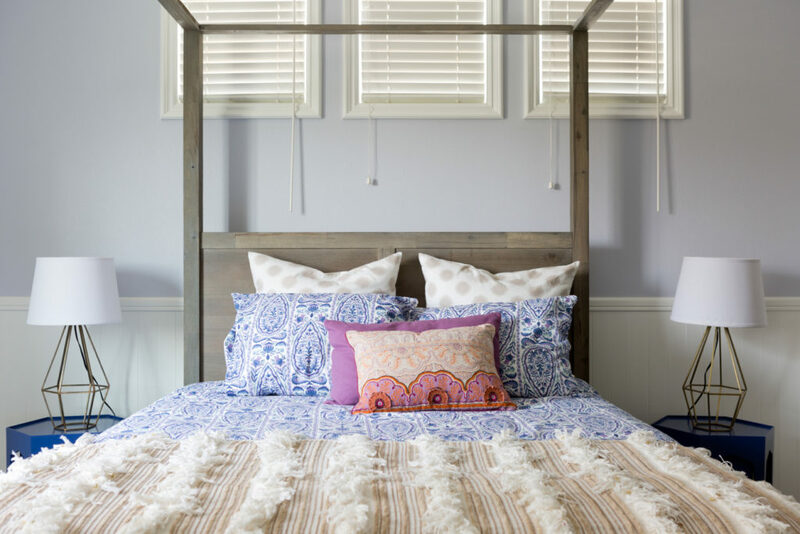 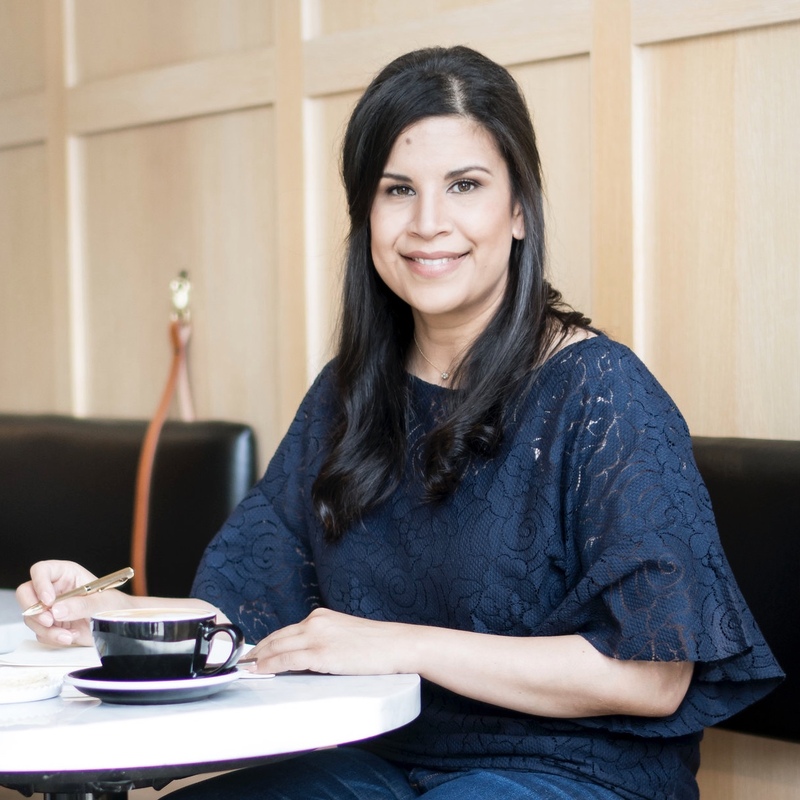 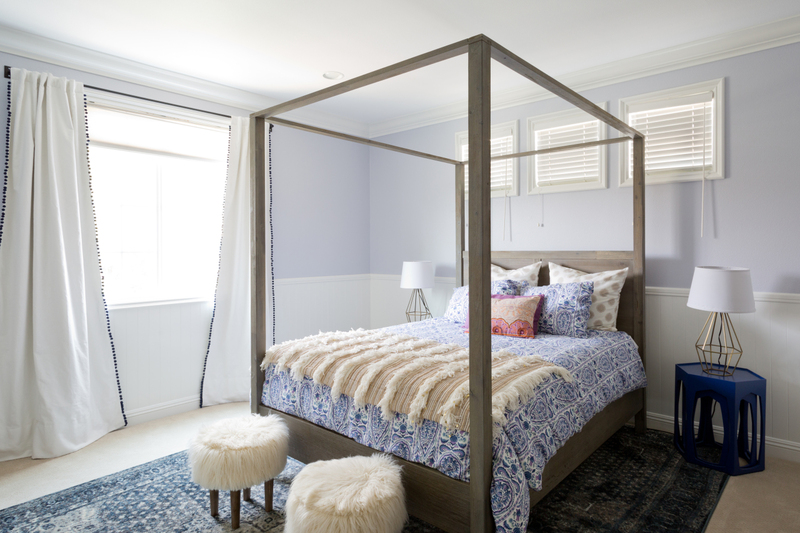 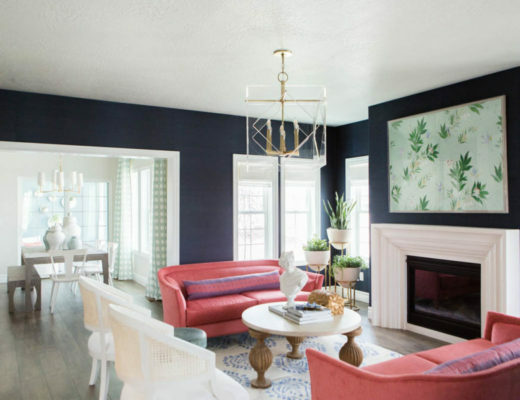 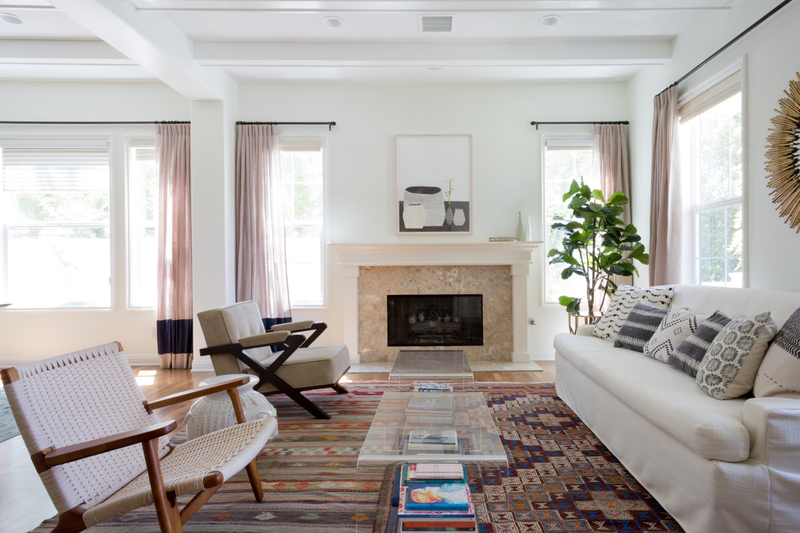 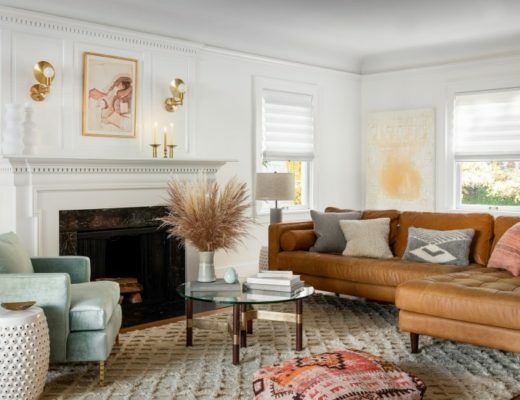 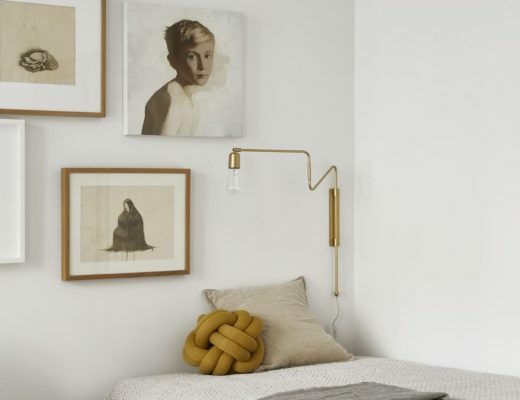 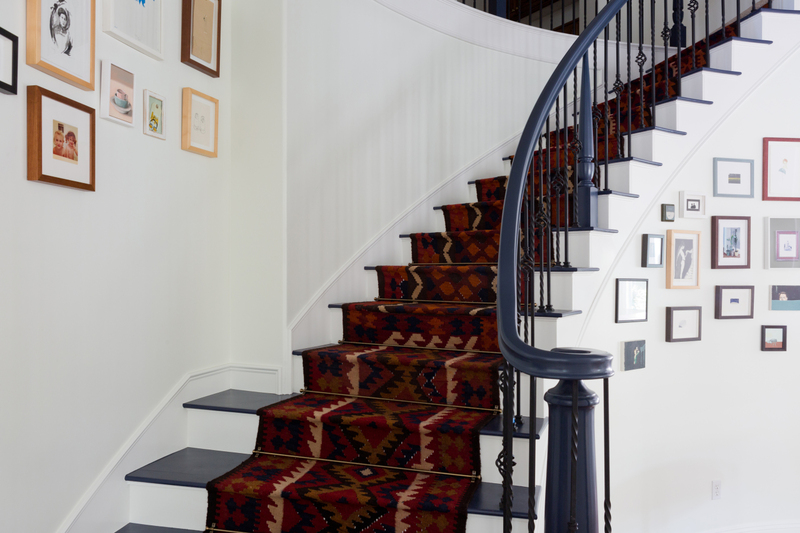 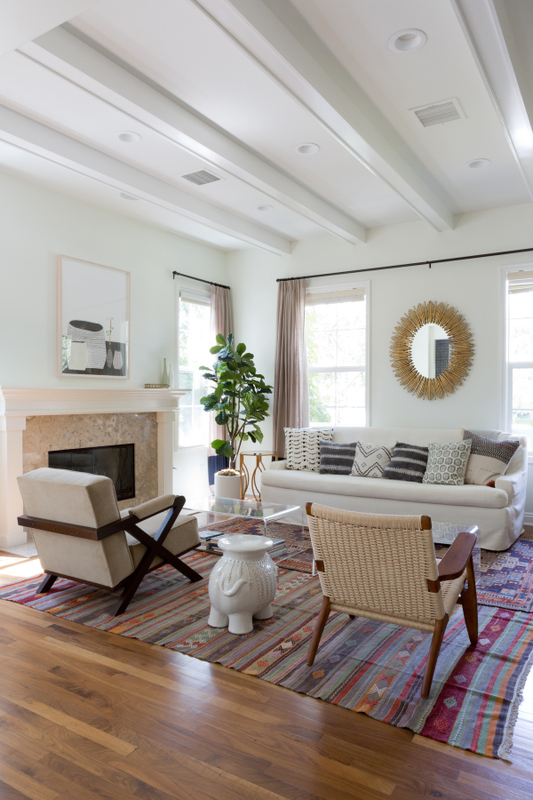 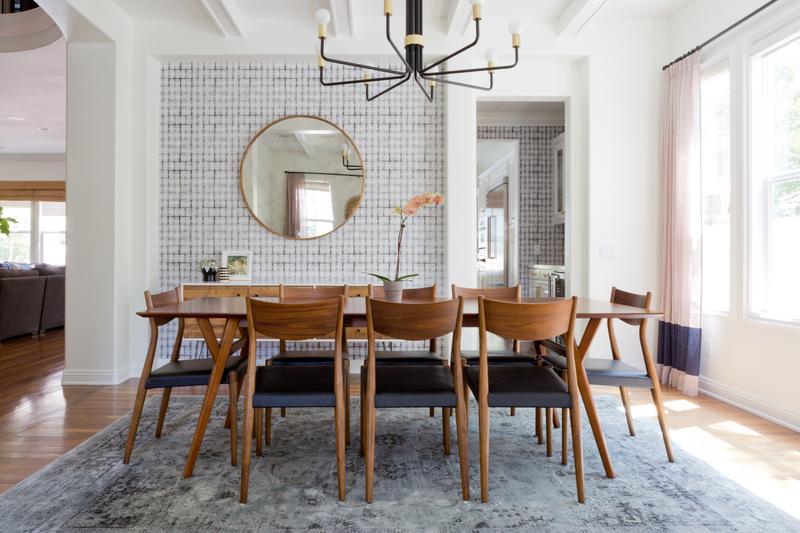 Natalie maintained the classic bones and beautiful details of the home by using a neutral palette and injecting interest and colour with textiles and homeowner Marissa’s incredible art collection. 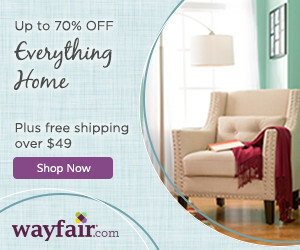 Stacking books, layering rugs and gallery walls, give the home a thoughtful and well traveled feel. 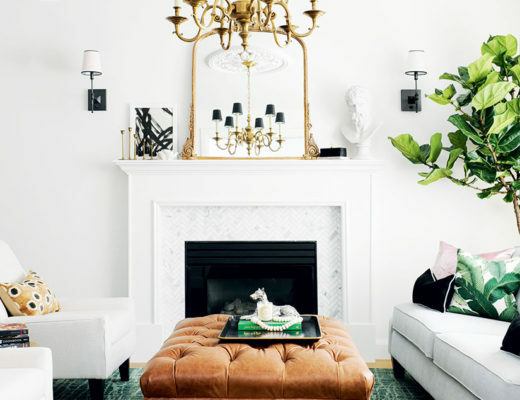 The combination of a low danish style lounge chair paired with a formal sofa and stacks of art books gives the living room the feel of a Parisian salon. 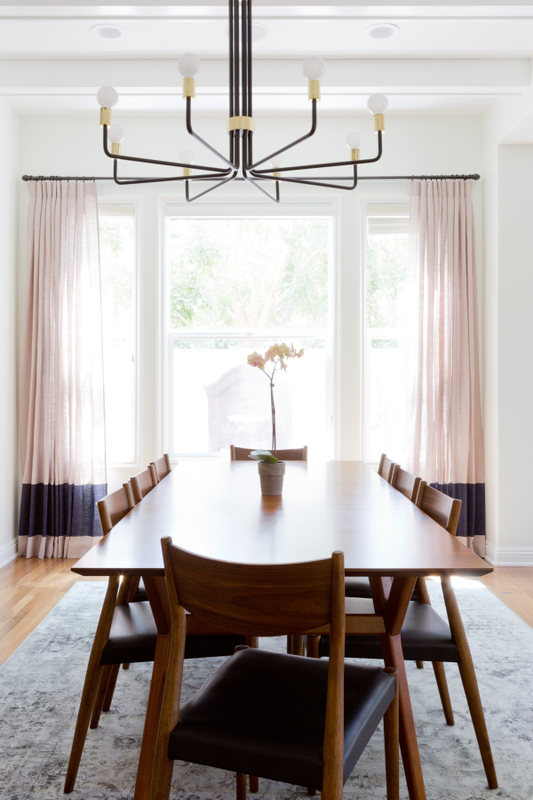 The shibori Milton & King wallpaper in the dining room ever so slightly edges out the colour block window panels as my favorite element. 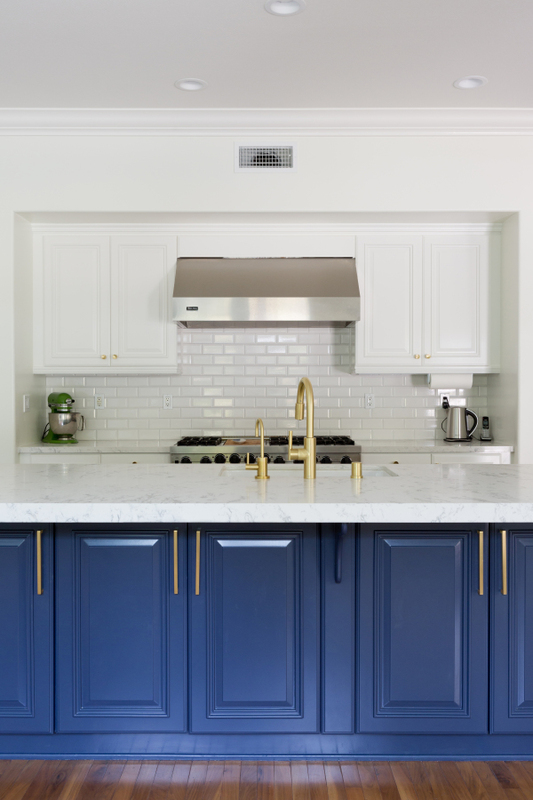 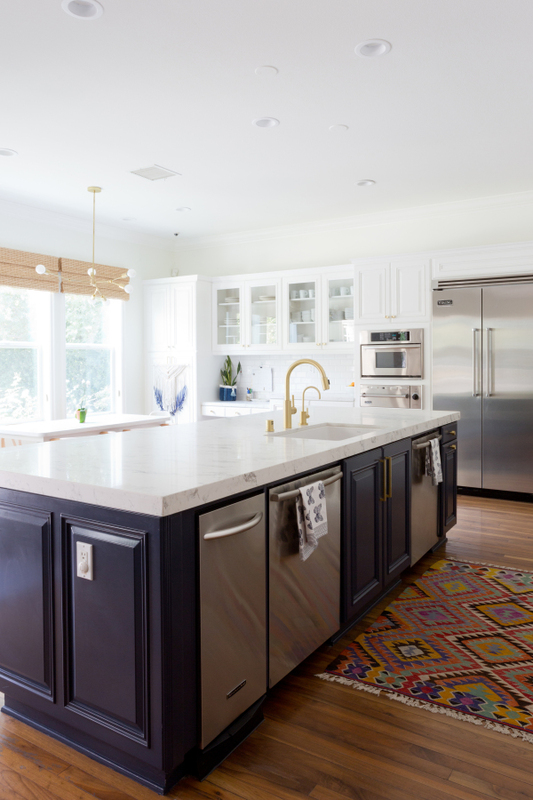 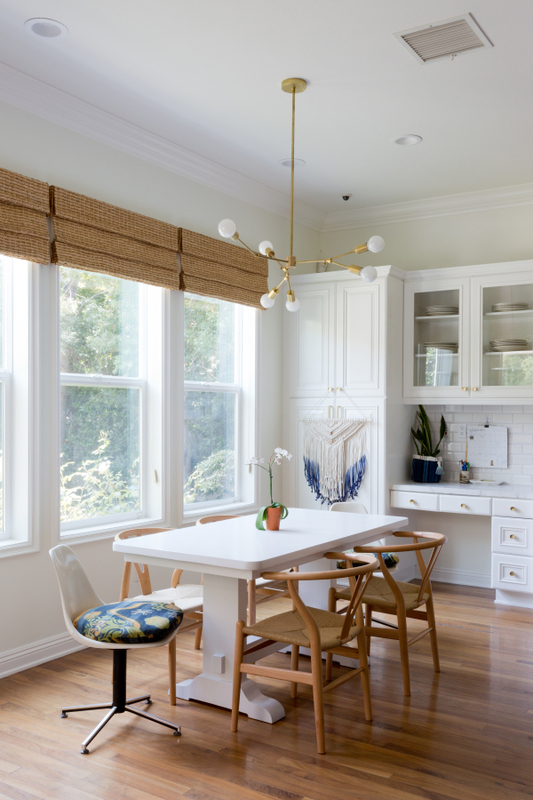 Navy blue kitchen cabinets adorned with brass knobs give the space a modern feel and pair perfectly with the bright eclectic breakfast nook.